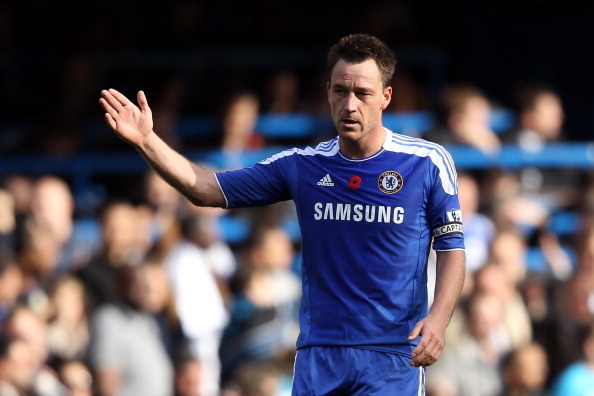 You are here: Home » What now for John Terry? Chelsea’s club captain may yet defy the sceptics suggesting he might be cast aside and secure his future under a new manager. The scenario can be painted even now. The camera will be focused on Rafael Benítez as the Kop bellow their anthem while, on the fringes of all the hullabaloo, John Terry shuffles into his seat behind the bench at Anfield. He might even be wearing something akin to a scowl as he does so, even if he is becoming reluctantly accustomed to life on the periphery. Terry has started nine Premier League games this season and it was against Liverpool back in November, when Roberto Di Matteo was still in charge, that he returned from domestic suspension and damaged his knee ligaments. Benítez inherited a veteran in rehabilitation, the treatment complicated and protracted before he could be restored to contention. He is fit again now but the manager, wary of the 32-year-old’s apparent susceptibility to slippery pace, has alternatives. Perhaps it is inevitable that, with a player who has felt untouchable for so long suddenly seeming marginalised, conspiracy theories abound. Terry has 14 months to run on his £150,000-a-week contract and, as yet, no firm talks have begun over an extension. The Chelsea hierarchy supported their captain through his court case over the Anton Ferdinand affair – he was acquitted of racially abusing the QPR defender – and during the subsequent Football Association disciplinary process, dealing with the issue internally once Terry had been fined £220,000 and banned for four matches by the governing body. Yet they recognise the negative impact the incident had on the club – and Terry was again prominent on the back pages on Saturday after refusing to shake hands with the FA chairman, Lord Bernstein. The natural extension of that is to wonder whether it might impact upon negotiations over a contract extension. Lost amid his praise for David Luiz’s candidacy as a long-term Chelsea captain was the line “hopefully I have a few years left”. Benítez will leave after the post-season tour of the United States and Terry will have a new manager to convince. It may be José Mourinho. Even with aching joints, he would back himself to make a positive impact. As for doubts within the hierarchy over his value to the collective, it was back in December when one senior figure privately suggested the side had appeared rudderless “without JT”, both over that ban and the initial absence through injury. Behind the scenes, his standing remains even as influence on the pitch transfers to a younger generation. His position in the pecking order remains. He will be frustrated at a lack of involvement, craving the “three games a week” he claims he can still play, and life on the fringes in another enthralling occasion at Anfield might leave him infuriated. But Terry will feel he is not quite done yet.